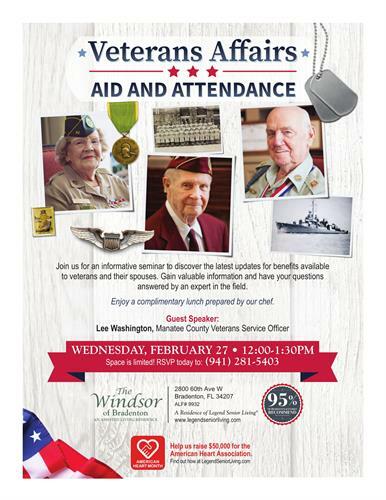 Join us for an informative seminar to discover the latest updates for benfits available to veterans and their spouses. Gain valuable information and have your questions answered by an expert in the field . Enjoy a complimentary lunch prepared by our chef.